The Gingerbread Castle was created in the small town of Hamburg, Sussex County, New Jersey, United States of America. 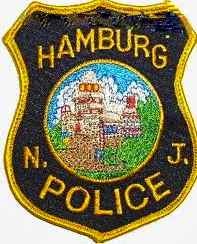 Sixty three years of Gingerbread Castle activity made a major impact on the little town of Hamburg. 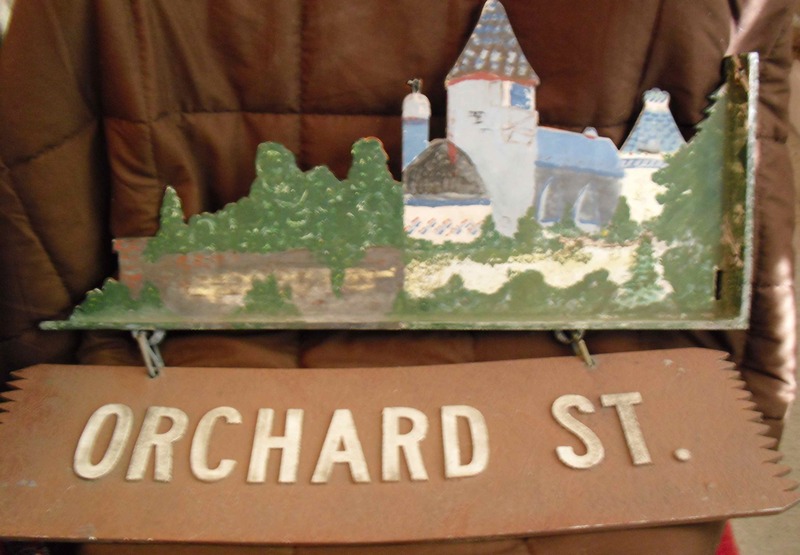 The creation of the park lead to Hamburg adopting the nickname the “The Children’s Town.” The literary influence of the park and it’s “residents” Hansel, Gretel, an Evil Witch, and Humpty Dumpty led to the town changing the name of several streets in the 1950′s. 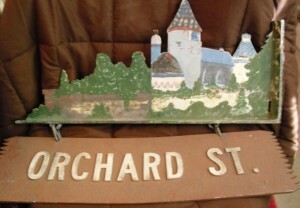 King Cole Road, Wishing Well Road, Gingerbread Castle Road, and Prince Street and Urban Street, named after the Castle Designer, Joseph Urban. The Postmark for the Town United States Postal Service features the Castle and the Mascot for the school became, the Knight. The Police Patch once worn by the town’s police officers bore the image of the castle as well. 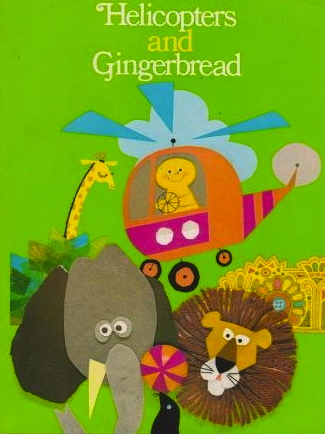 In Hamburg, in 1970, the Gingerbread Librarian learned to read using this text book – Helicopters and Gingerbread – Gingerbread was everywhere.